SLB thrives on the energy and ideas of members like you. Get involved and make a difference in the society and larger scientific community! Below are just a few suggestions of how you can get involved. SLB welcomes members at all career levels to activity participate in the direction of the society. Contact us to volunteer and/or share your ideas to benefit the SLB community! Host an SLB sponsored Lunch and Learn at your institution. SLB will provide you $200 to pay for pizza, subs or whatever you wish to support a lunch time publication club or to bring in a guest speaker. Write an article for iSLB about your own career path. It’s a nice way to bring attention to your own research while also helping junior members see career pathway options. Come to the annual meeting. 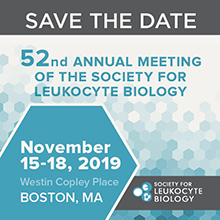 Submit an abstract, apply for an award, bring your colleagues! There are always many volunteer opportunities at the meeting including poster judging, mentoring and much more. Propose an SLB hosted session at a meeting you are involved in. SLB has been expanding outreach efforts by hosting sessions at other meetings. Members may propose a topic given a 1.5-2 hour dedicated time slot at another meeting. Proposals should be submitted at least one year prior to the meeting. Contact us to learn more. Update your member profile and connect with other members in your interest area. Perhaps if a collaboration comes out of it, you can write an article for iSLB about the project or paper you worked on together! Learn how to update your profile and utilize the member directory search function. Submit your paper to JLB. JLB is your journal. Submit your manuscript and be part of this well recognized publication to highlight your science. Propose a special topical or virtual issue. 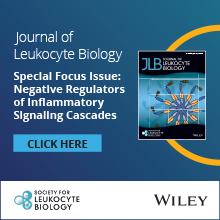 Contact us with your ideas for a virtual issue of JLB or a topical issue to feature a topic or interest to members and the broader scientific community.